The disinformation artistes over at Tony Watts' Salon des Refusés have jumped the scientific tracks entirely. 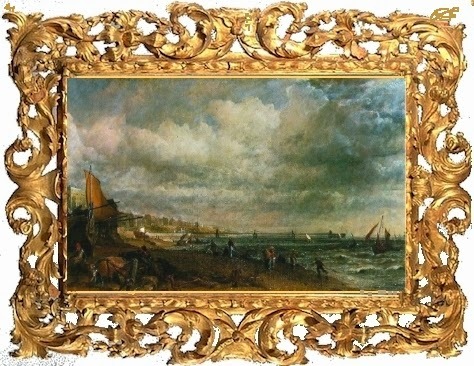 Ignoring CERN's experimental downsizing of the impact of cosmic rays on cloud nucleation, they've turned to art history in an effort to resuscitate the theory that cosmic rays modulate global warming more than man. After a decade of obsessively recounting the rings of a single tree, Canadian Tar Patch geographer turned art historian Tim Ball has come up with a climate proxy that borders on the surreal. 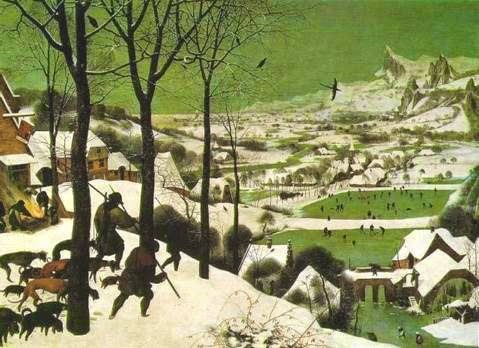 Svensmark’s Cosmic Theory and Cloud Cover Depictions in Little Ice Age Art. 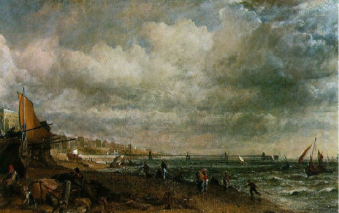 …a statistically adequate sample of paintings executed by many painters living during a given period in a given region should reveal meteorological features significantly different from those of a similar sample of paintings produced during the same epoch in a climatically different region. 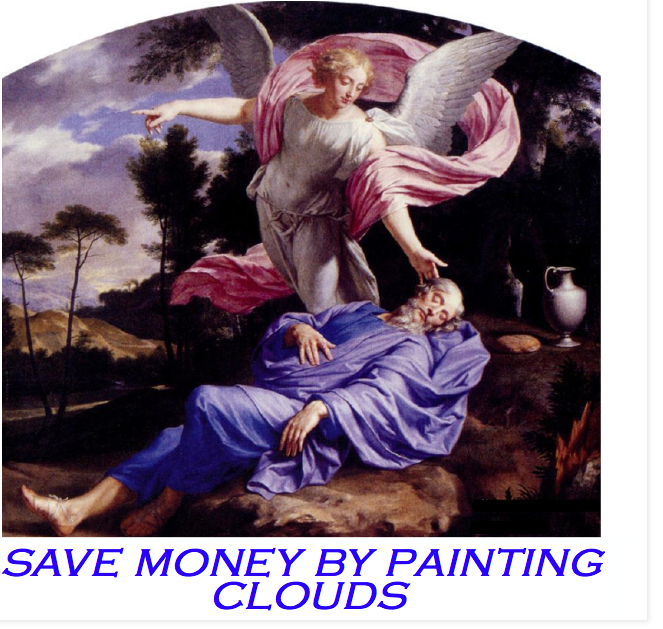 Before you swallow Ball's spin on art history, let alone climate, take a look at the economic history of artists' materials- the Blue Sky laws may not govern climate blogs, but the laws of supply and demand apply to blue skies, and for centuries, blue was the most expensive color on the artist's palette. 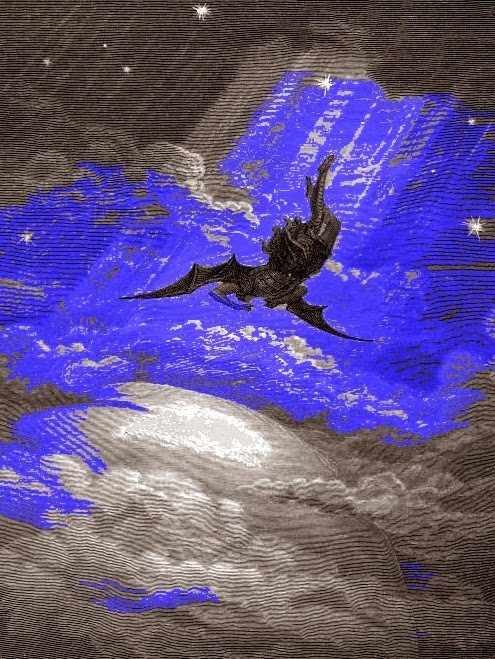 "Ultramarine blue is a color illustrious, beautiful, the most perfect, beyond all other colors; one could not say anything about it, or do anything with it, that its quality would not still surpass." It was also fabulously expensive and hard to get and process. 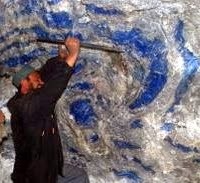 Lapis lazuli was found only at the end of a serious detour off the Afghan Silk Road, in mines three miles above sea level in the remote mountains of Badakshan. Cennini described how the gem rough had to be pounded harder than a bad lawyer's table, mixed with melted resin, wax and oil, wrapped in fine cloth, and kneaded three times in a lye bath to produce a pigment worth its weight in gold and fit for the painted robes of Christ and the Virgin Mary. 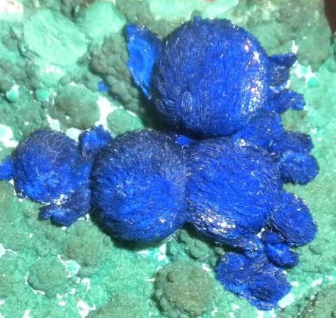 The extraordinary cost of ultramarine often figured in artists contracts, and has made the pigment an objects of intense study-- art historians long ago noted that artists economized on blue skies when prices were high by using azurite. "Economic considerations played a decisive role of the artist’s working procedures." notes The Vermeer Newsletter observng that imported azurite became a Venetian monopoly once French deposits were exhausted, making the pigment more costly outside of Italy, and that this inflation continued through the16th and 17th century as Venice's wars with the Ottoman Empire squeezed imported supplies. Given WUWT's past mastery of single point perspective,you can expect more discoveries soon. 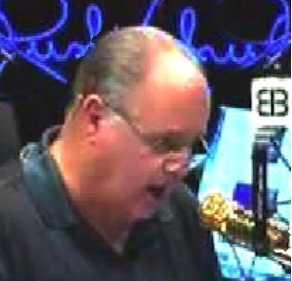 While Rush Limbaugh and his fellow stentorian Willard Watts are among the the loudest advocates of the 'death of global warming' meme , both are both scientifically tone deaf, and selectively stone deaf when confronted with inconvenient facts, as with Watts denial that his website is censored, and Limbaugh shutting his ears to his own "expert climatologist here on staff." Dr. Roy Spencer. the gibberish-challenged broadcaster proclaimed The Journal of Geoclimatic Studies had pulled the plug on man-made climate change with a peer-reviewed paper on ' Benthic Bacteria ' that proved global warming stemmed not from fossil fuel burning, but bacteria burping methane in the depths of the sea. Yesterday (11/7/07), a "research study" was circulating on the internet which claimed to have found the "real" reason for global warming. Even though the hoax was quite elaborate, and the paper looked genuine, a little digging revealed that the authors, research center, and even the scientific journal the study was published in, did not exist. I offered the following geological column in celebration of the 6000th anniversary of the world's creation (4004 BC-1996 AD) in Earth, a magazine that, much to the relief of creationists has long since been subducted along with its publisher, leaving the author of this creation thankful that Earth's bank did not go under as well. * 3714 B.C. : The first biotechnologist, Cain, patents cyanobacteria. * 3554 B.C. : Komatiitic lava floods earliest crust ; Noah's Ark incinerated. * 3264 B.C. : Methuselah begins to notice passage of geological time. * 3124 B.C. : Archaean stratiform copper deposits form, kick-starting Bronze Age. * 3004 B.C. : Y1K crisis: Gilgamesh finds himself unable to count as high as 1000. * 2844 B.C. : Tired of reading graphic granite, Imhotep devises hieroglyphs. * 2584 B.C. : Earliest sedimentation; discovery of slate leads to stone tablets. * 2444 B.C. : Tubal Cain inaugurates banded Iron Age. Sphinx starts to fossilize. * 2384 B.C. : Breathable atmosphere develops; first sermon preached. * 2004 B.C. 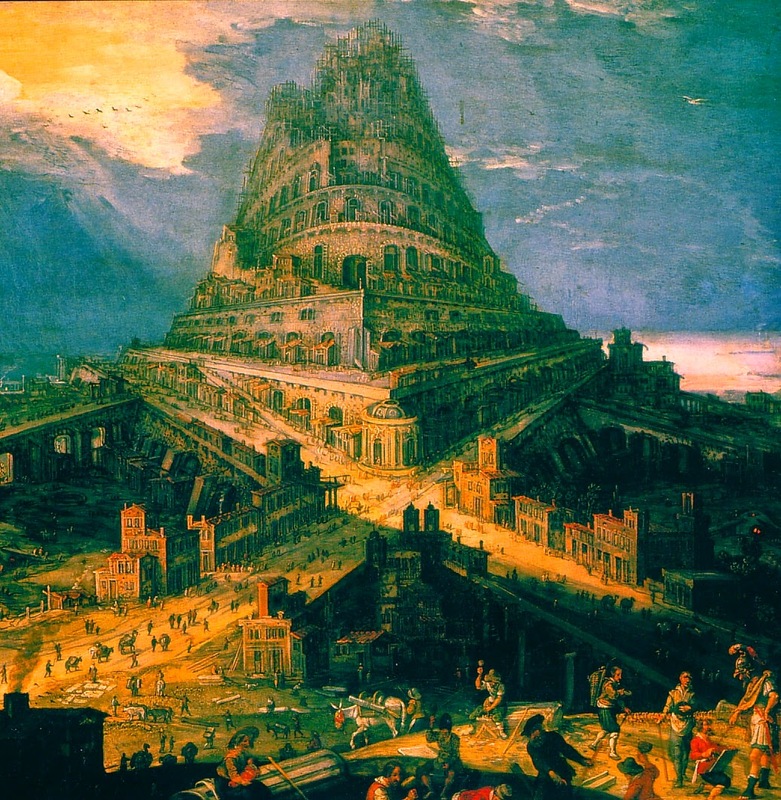 : Nimrod the Hunter erects the Geosyncline of Babel. * 1914 B.C. : Advent of diapirism; Lot's wife turned into first salt dome. * 1794 B.C. : Children of Ham split from Israelites ,insisting that the Burgess Shale fauna are kosher; chowder invented. * 1704 B.C. : Charshumash the Hittite bitten by first vertebrate; lawyers emerge from slime. * 1624 B.C. : Laboratory of the Philistines implodes as Samson attempts first high-pressure geophysics experiment. * 1444 B.C. 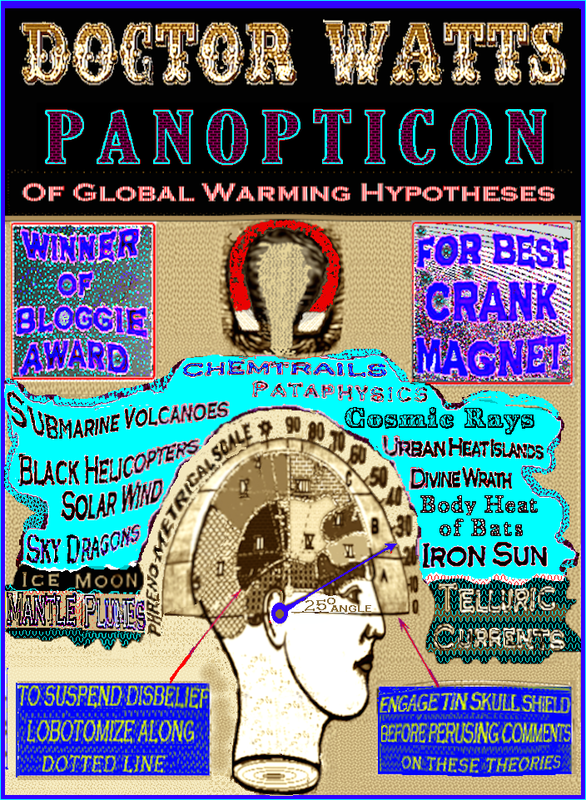 : First environmental catastrophe: Pangea breaks up after Jason sows dragons teeth. * 1384 B.C. : China scraps compass research as Asia drifts over south magnetic pole. * 1314 B.C. : On his way home from Troy ,Odysseus makes wrong turn into Tethys Ocean ; Homer writes it up. * 1104 B.C. : Ezekiel see de pterodactyl 'way up in de middle ob de air. * 1024 B.C. : Goliath stepped on by irate Barosaurus; David takes credit. * 794 B.C. : Jonah swallowed by Carcharas megalodon. * 564 B.C. 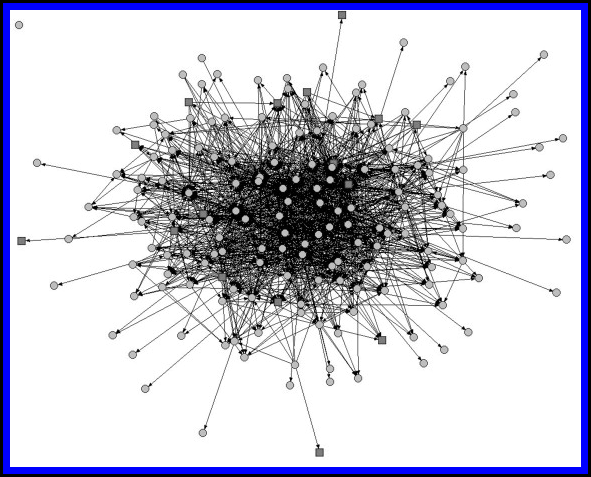 : Pythagoras publishes Air-Earth-Fire-Water phase diagram. * 454 B.C. : Marble deposits form in Greece; Parthenon erected. * 338 B.C. : Aristotle declares quartz just another water polymorph , like ice,diamond and pearls. * 48 B.C. : All of Gaul is divided into three parts as Corsica collides with the European Plate. * The Year Zero: Nothing much happened, there being none. * A.D. 31: Miracle of the Loaves and Ichthyosaurs. * A.D. 70: Paul, formerly Saul the Tarsier, develops opposable thumb & pens Epistle to the Cephalopods. * A.D. 344: Attila the Hun vanquished as Romans breach Gibraltar escarpment, flooding the Mediterranean Desert. * A.D. 494: Snakes evolve and are driven out of Ireland. * A.D. 974: Leif the Unlucky lost with all hands when his dragon ship is spotted by an amorous Kronosaurus. * A.D. 1066: William the Conqueror invades England by riding through northern France. 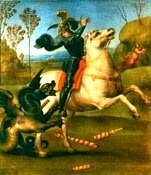 * A.D. 1284: Plate armor introduced ; Velociraptor hunted to extinction. * A.D. 1306: Dante describes Medieval Warm period in Inferno, his account of a field trip to the core-mantle boundary. * A.D. 1324 T.Rex becomes popular Mongol Barbecue item after Golden Horde discovers gunpowder. * A.D. 1444: Flowering plants appear; War of the Roses commences. * A.D. 1484: Leonardo da Vinci designs Archaeopteryx. * A.D. 1492: Panama's rise from sea thwarts Columbus's discovery of Japan. * A.D. 1588: Spanish Armada frustrated by continuing absence of English Channel. 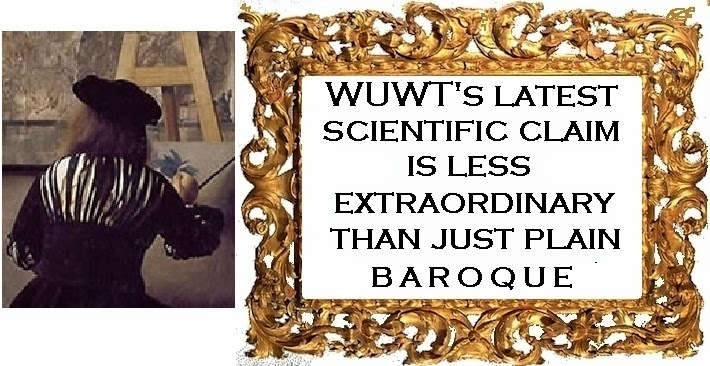 * A.D. 1636: Earliest primates appear; Harvard founded. * A.D. 1654: John Milton goes blind shortly after discovery of malt distillation enables him to justify God's ways to man. * A.D. 1664: A Primate of Ireland, Archbishop Ussher, successfully deduces last four out of ten digits of the age of the Earth. * A.D. 1846: First ape born to Bishop and Lady Wilburforce. * A.D. 1894: Glacial Maximum : Cecil Rhodes proposes Capetown-to-Cairo bobsled run. * A.D. 1948: Churchill proposes using ice to contain Stalin; Cold War begins. * A.D. 1954: Glaciers retreat from Fulda Gap; de Gaulle invades Russia. * A.D. 1957: Civil Rights Movement challenges Jim Cro-Magnon laws. * A.D. 1961: Rachel Carson links DDT to Glyptodonts' decline. * A.D. 1969: Last sighting of saber-toothed tiger in Central Park; Elizabeth Taylor divorces Proconsul,marries Senator Warner. * A.D. 1971: Andy Warhol paints Campbell Soup cans on walls of Lascaux caverns. * A.D. 1983: Australopithecus wins the America's Cup. 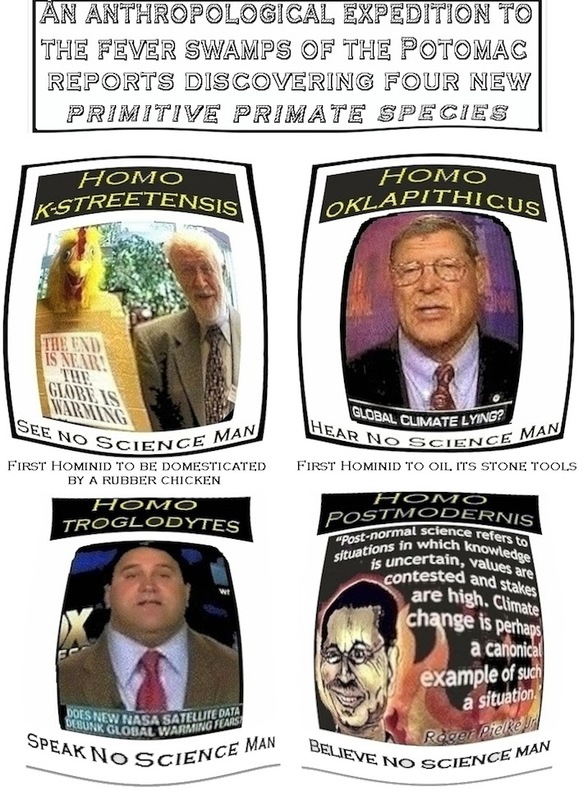 * A.D. 1988: Homo habilis declines nomination as Pat Robertson's running mate. * A.D. 1990: Last Neanderthals escape siege of Kremlin, cross Bering land bridge to found Discovery institute. * A.D. 1991: Saddam Hussein discovers fire; Holocene tar sands form in Kuwait. * A.D. 1992 Onset of Holocene Climatic Optimum ruins Al Gore's Presidential bid. * 1997 CE Citing black smoker emissions, the EPA bans continental drift. N.B. : As all dates are +/- 2.5 billion years, the author strongly advises against using this chronology for purposes of exegesis, carbon-14 dating or celestial navigation. This exercise was inspired by a remark made at a meeting of the American Geophysical Union by the late Cesare Emiliani. 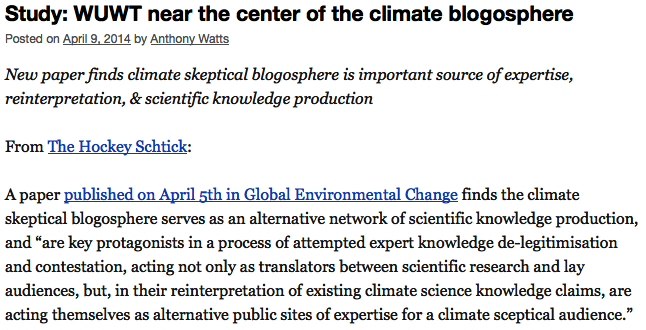 "...A network of 171 individual blogs is identified, with three blogs in particular found to be the most central: Climate Audit, JoNova and Watts Up With That." Some of those shouting the loudest for public debate in the Climate Wars seem reluctant to stay on the same page as their opponents. None more literally so than Peter Ferrara. 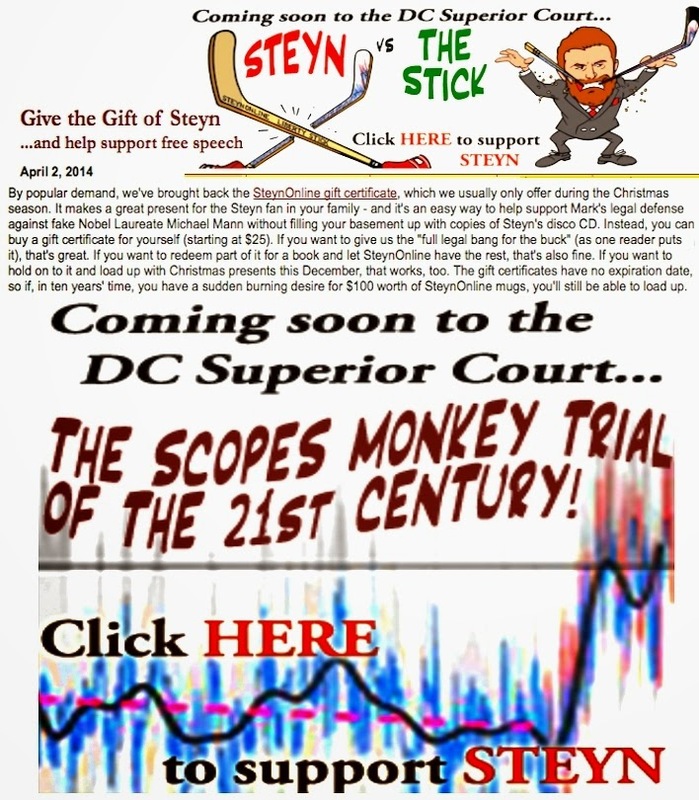 Having segued into the orbit of the Heartland Institute fresh from the law offices of disbarred K-Street fixer Jack Abramoff, he now shares the Institute's media feed to Forbes with James Taylor and Larry Bell, and together they have raised the delivery of undiluted disinformation to the level of performance art. 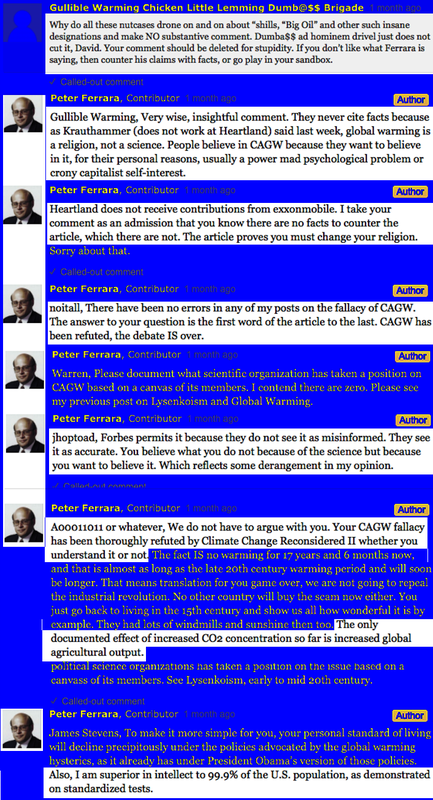 Peter's latest patter song: The Period Of No Global Warming Will Soon Be Longer Than the Period of Actual Global Warming outdistances his Heartland confreres by using his administrator status to jigger the comments in a manner recalling Johnny Carson's Carmac The Magnificent act. BUT WHERE DO WE CLICK FOR THE MONKEY? Of course scientists are hostile toward Republicans. As far as they're concerned, Republicans are troglodytes who don't believe in evolution, don't believe in climate change, want to ban stem cell research, and don't want to fund the NSF. They'd be crazy not to be hostile toward Republicans. America's largest science organization has also decided to demonstrate its bipartisan bons fides by putting aside the partisan biotech protocols and politicized cell line sources of the past. Henceforth, the Editors of Science will now provide prospective molecular bio authors with their choice of sequenced DNA from noted venture capitalist Craig Venter, or stem cells Steve Gould, whose daddy raised him to be a Marxist. There has never been a better time to re-up for the Science Wars! 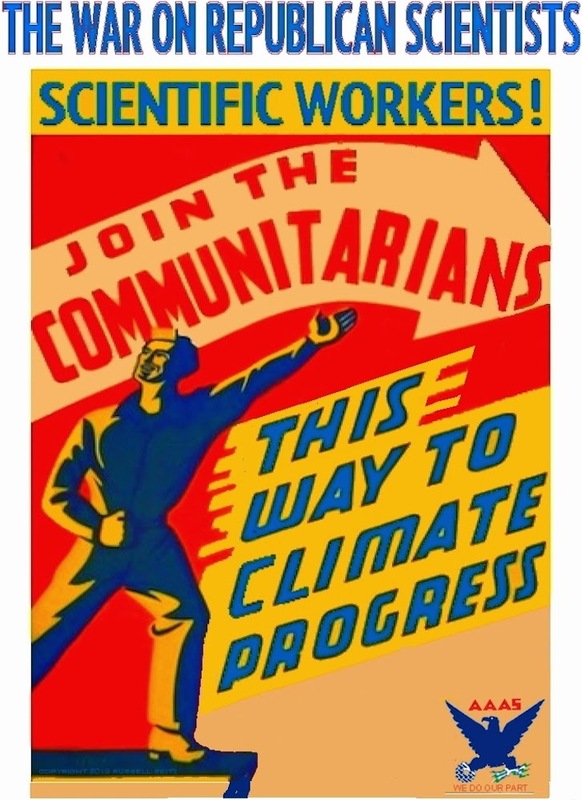 Renew your Science subscription by April 1st, and we'll include your Science For The People and Union Of Concerned Scientists dues free of charge!